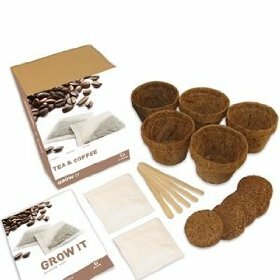 This is a very unique gift set that allows you to grow coffee at home. Comes with seeds to grow both coffee and tea. Comes with the seeds, the direction booklet, the starter planters. An interesting gift to get someone who likes coffee, and lives in a tropical weather state.